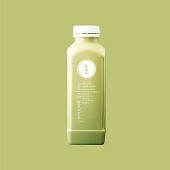 Pressed Juices’ mylks give you silky smooth creaminess without weighing you down. Tasty and nourishing, they combine ingredients like cashew mylk for richness, vanilla bean and Manuka honey for sweetness, and spices like turmeric, ginger and cardamom for a warming kick. Our cashew, almond and coconut mylk smoothie range is crammed with all the nutrients you need, including magnesium, Vitamin E, Vitamin C, potassium, iron, fibre, and essential fatty acids. Meanwhile, options like the strawberry almond mylk smoothie contain plenty of antioxidants to help reduce cholesterol, regulate blood pressure, fight premature ageing, and protect against the damaging effects of free radicals – not to mention the health benefits of almond milk. Whether you want a healthy alternative to your morning coffee or you’re craving a sweet treat without the sugar, we have you covered. Like all of our products, these mylks are made fresh from the highest quality produce known for its benefits to your health and wellbeing. Take the Golden Mylkshake, a tasty cashew andcoconut mylk smoothie featuring Manuka honey – famous for its healing properties and often used as an alternative medicine. Then there’s the Espresso Almond Mylk Smoothie, which passes on the health benefits of almond milk – including its lack of cholesterol, saturated fat and lactose – plus the magnesium, potassium, fibre and iron of naturally-sweet dates. For more information on our almond chocolate mylk, coconut mylk and cashew mylk smoothie range, please contact us.